For DIY plumbing, you need to focus on two parts of the project: the tools you use and the fixtures you install. Your preference and budget will affect which brands are best for you. Before you stand in the aisle looking at all your options, it helps to have some working knowledge of the brands in front of you—beyond what you’ve seen in commercials. The best choice will serve you well—both now and for years to come. 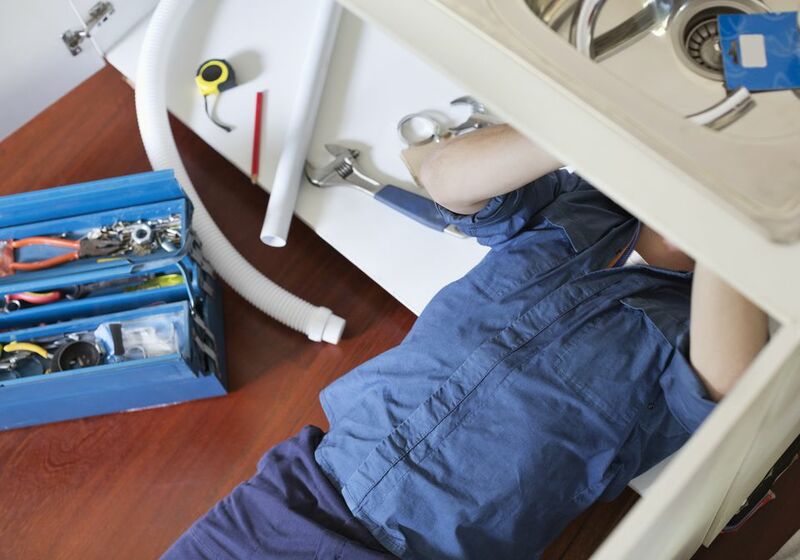 Milwaukee is a favorite among plumbing contractors. Despite the higher price tag, many homeowners also choose to use Milwaukee because of its brand recognition and reputation. Most industry professionals can be found using Milwaukee tools because they are well made, lightweight and pack a punch. Ridgid produces great power tools. They are known for their budget-friendly selection—a great option for occasional use and those who enjoy a good DIY. Of course, if you don’t think you have the right tools and know-how for the job, it’s best to leave it to a contractor with the right instruments and experience for your project. If you take this route, expect to pay just under $300. Putting together a reliable, high-quality toolkit will help make your home improvement projects faster and easier. Now that you know what tool brands to look for at your local hardware store, here are some of the best fixture brands to put in your home. Moen has largely contributed to the high standard set in the plumbing industry and can be found at most home improvement stores. With more than 25 years in the market, they continue to make products that last a lifetime and are highly recommended by plumbing professionals. Great for high-end shower heads and faucets, Hansgrohe is known for quality and modern design. Expect less availability at local hardware stores, but a style with longevity. Preference and taste largely affect the cost of your fixture. For example, if you want high-end features—like a touch-activated faucet—you’ll likely be faced with a bigger price tag. But finding the right fixture for your bathroom and style is far from impossible. The brands above have a great selection of colors, features, and styles for your toilets, sinks, shower heads and more. The brand you choose for your project will play a role in the overall functionality and aesthetic of your bathroom or kitchen. The brands above were chosen because of their high standing reputation throughout the industry and the reliability of their high-quality products. All plumbing projects were not created equal. For quick fixes and DIY-able repair, these basic tools will help you be prepared. Your DIY plumbing project shouldn’t be difficult when you have the right tools and fixtures for the job. Remember to do your research and compare tools based on price, value, and warranty. Don’t go over budget and think you need the highest quality, highest priced tools. You can complete many DIY plumbing projects with lower-priced items. As always, be sure to research your project and review your budget to know exactly what you’ll need and what you’re willing to spend. When doing your research, make sure that you’re not spending more to do it yourself. Some plumbing projects, like replacing a toilet which costs around $355, can be done for less than the cost of some high-end tools. If you’re afraid of filling your garage with little-used items, get quotes from local pros. A professional plumber can also give you the reassurance that your project is being done right, which can help you avoid future fixes.